Bankruptcy and bad credit scores are more of a problem today than ever before – and it’s not just private citizens who are suffering. Entire cities such as Detroit are filing for bankruptcy protection, while whole countries (including the UK) have had their credit ratings downgraded. It may seem obvious, but you can’t set about fixing your credit report if you don’t have a copy of it in front of you for reference. You can easily obtain your own credit report on the Internet. There may be mistakes on it, so check it carefully to make sure that you are not being penalised for a late or missed payment that did not, in fact, happen. If you do spot a potential mistake, take it up with the credit bureau or the reporting agency. Commit to making on-time payments from now on. If, on the other hand, you are being penalised for real issues, then it’s time to turn over a new leaf. The only way to repair bad credit is by establishing better habits. If the issue is forgetfulness or procrastination, then consider signing up for email or SMS reminders. Many banks and low interest credit cards include this as a potential service, and there is no harm in taking advantage of that. It takes a while for good habits to catch up with your credit score, but that’s all the more reason to get started today. Pay down those credit card bills. Paying off loans – be it the home, auto or student variety – will help boost your credit rating a bit. But you are going to get the best results from paying down your credit card. Revolving accounts like this are more heavily weighted in your credit score, so this is where you should focus your energy (and payments). Lenders like to see this sort of debt well under control, which means you should aim for something between 10 and 30 percent of your credit limit. Of course, this is not to say that loans should be ignored. 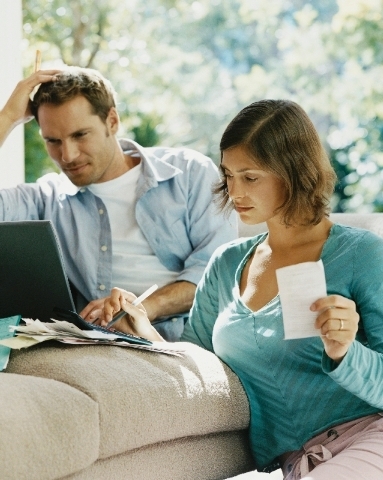 Pay them down, too… just don’t expect the results on your credit score to be as dramatic. Ask for some goodwill forgiveness. Sometimes, a single missed or late payment can have a negative effect on your credit rating, despite the fact that you have been an otherwise responsible borrower. In these cases, you may be able to get your lender to forgive the lapse and delete the late payment from your credit history. When your credit rating is affected by a problem that occurred a long time ago, you might get some traction by disputing the charge. In many cases, collection accounts are not particularly well motivated to dig into their old records to prove that a specific charge was, in fact, yours – especially if the company is small or has been reorganised in years since. We’re all human and prone to mistakes here. Sometimes, lenders get your credit limit wrong. If they show a limit that is lower than the one you signed up for, this could push up your debt burden and adversely affect your credit rating. By all means, make sure that this information is being reported correctly. It never hurts to check. Westpac is a bank in New Zealand that provides low interest credit cards, personal loans, insurance, home loans, and other financial products for personal use.